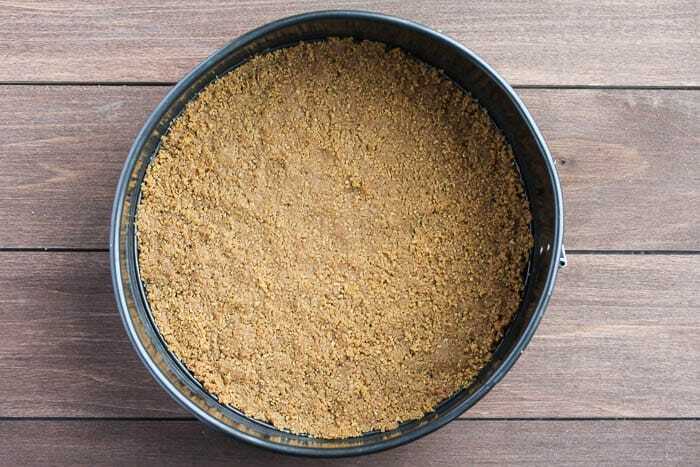 Do you love homemade cheesecake, but hate the hassle of making them? 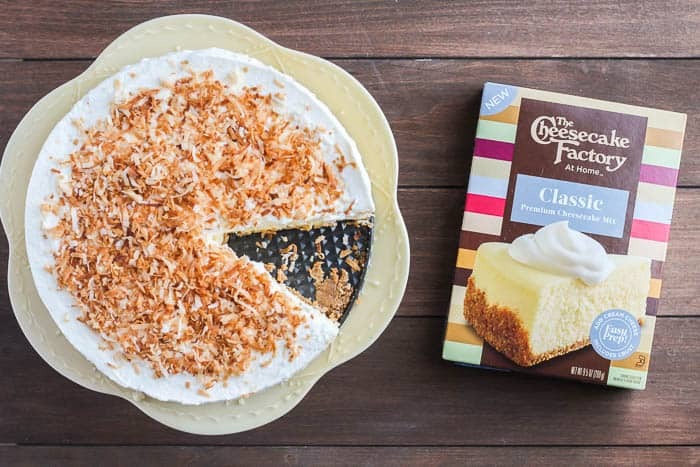 Try this Simple Coconut Cheesecake using The Cheesecake Factory at Home mix! So easy, so delicious! My love for The Cheesecake Factory runs deep. I can still remember the first time I ever ate there. And the second. I was on the same week-long vacation and don’t think I had even heard of the restaurant before that trip. The food was amazing, but I had never had cheesecake that extravagant before, hence the need to go twice in one week! We currently live over an hour away from the nearest Cheesecake Factory. My fiancé will go out of his way to get me my favorite cheesecake on my birthday, but other than that, I rarely get there. There was this one other very special occasion though. I had my youngest son at the hospital around the corner from where the Cheesecake Factory is. Once I got the all clear from my doctor, my fiancé brought me two huge slices! Yum! So, as a huge fan of The Cheesecake Factory, imagine my delight to know there are now The Cheesecake Factory at Home Cheesecake Mixes! That’s right! You can now enjoy the flavor of the Cheesecake Factory in the comfort of your own home! They are dangerously delicious! These new boxed cheesecake mixes come in 3 flavors: classic, strawberry, and salted caramel. They are delicious as is, of course, but you can also experiment and add special touches to make them all your own! 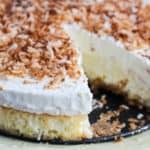 That’s just what I did for this Simple Coconut Cheesecake recipe that I created using The Cheesecake Factory at Home Premium Cheesecake Mix in the classic flavor. This cheesecake is the perfect holiday dessert, but easy enough to make you can enjoy it anytime you’re in the mood for a delicious treat! 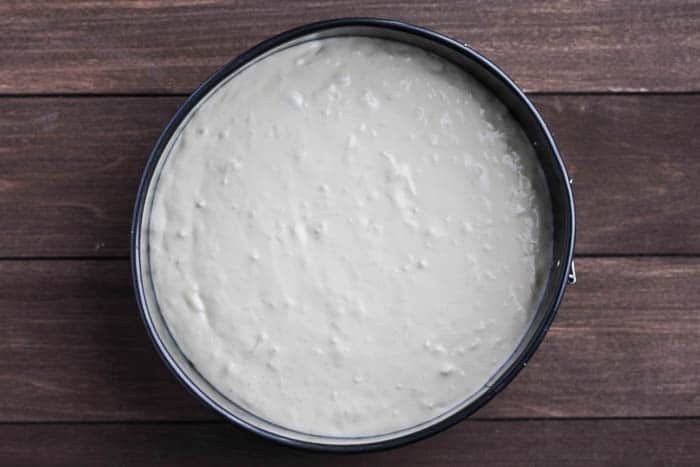 You will need to set your cream cheese out ahead of time so that it can come to room temperature before beginning. Prepare the crust according to the directions on the package. I used a pan slightly larger than recommended, hence the lack of crust up onto the sides of my finished cheesecake. Prepare the filling mix as instructed on the box. 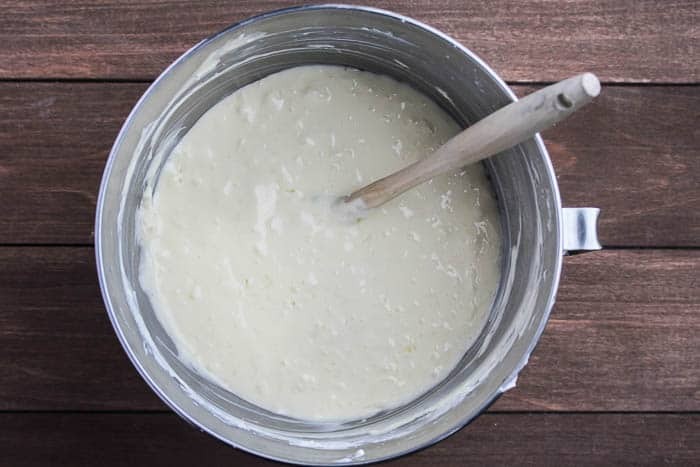 Once the mix is prepared, gently stir in the shredded coconut. Pour on top of the crust and spread it around so it’s even. 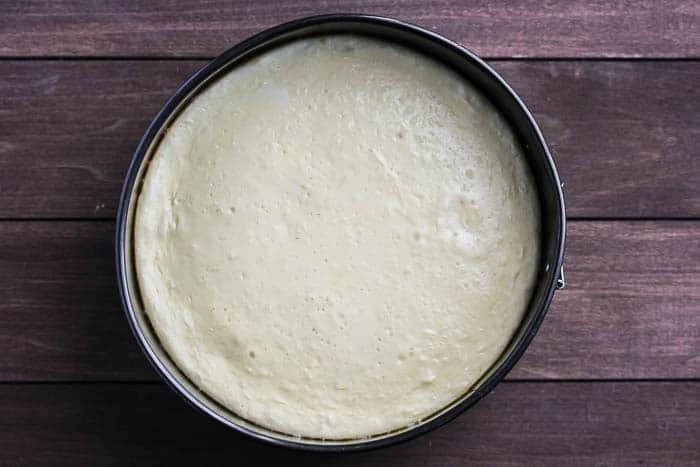 Bake for 45-50 minutes, until the center of the cheesecake is slightly jiggly. It will set as it cools. Let cool to room temperature before removing from the pan. 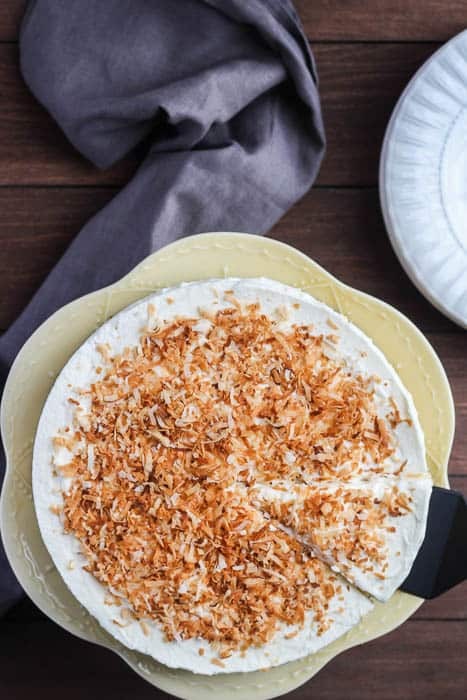 Top this Simple Coconut Cheesecake with the whipped cream and toasted coconut. Keep refrigerated until ready to serve. 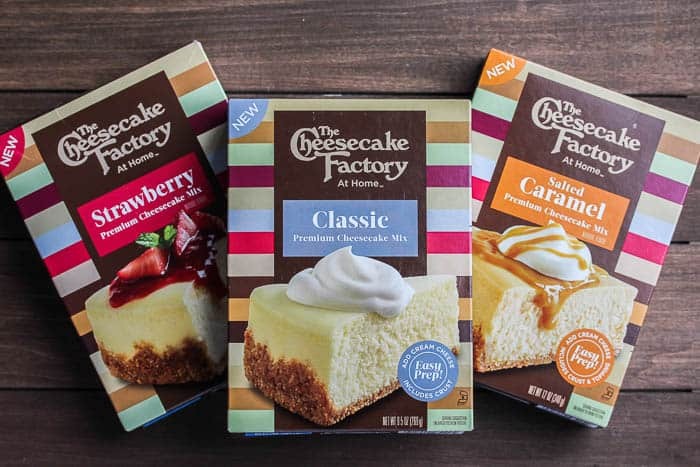 To learn more about The Cheesecake Factory at Home Cheesecake Mixes, and to find a store near you, click HERE! PREP: You will need to set your cream cheese out ahead of time so that it can come to room temperature before beginning. Prepare the crust according to the directions on the package. I used a pan slightly larger than the recommended 8" size, hence the lack of crust up onto the sides of my finished cheesecake. Prepare the filling mix as instructed on the box. Once the mix is prepared, gently stir in the shredded coconut. Pour on top of the crust and spread it around so it’s even. Bake for 45-49 minutes, until the center of the cheesecake is slightly jiggly. It will set as it cools. Let cool to room temperature before removing from the pan. 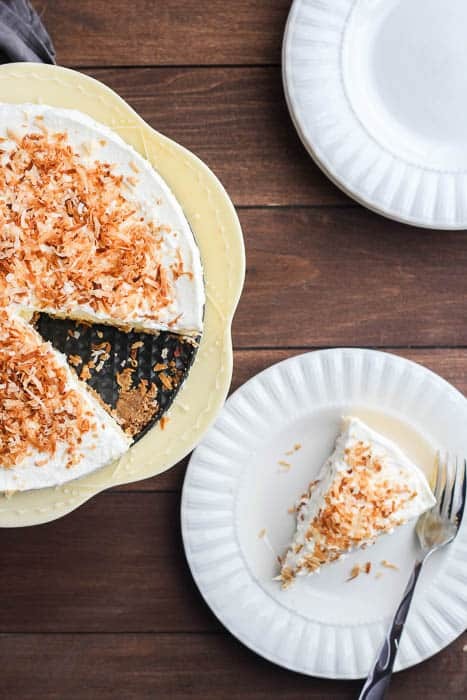 Top this Simple Coconut Cheesecake with the whipped cream and toasted shredded coconut. Keep refrigerated until ready to serve. To learn how to toast your own coconut, click here. Make your own whipped cream by whisking 2 Cups of heavy cream and 4 Tablespoons of sugar until soft peaks form. You can use the whisk attachment on an electric mixer as well.